Americans think of omelets as breakfast food, but the French have a long association with eggs at other times of day. In fact, they don’t actually eat them for breakfast all that much. OMELETS: NOT JUST FOR BREAKFAST! In her book An Omelette and a Glass of Wine, the late British writer Elizabeth David, who was one of the first food writers to educate a generation of English speakers about real, everyday French cooking, extolls the virtues of the simple omelette enjoyed with a glass of wine. It’s worth a read just for the pleasure of armchair cooking and a bit of perspective. As she points out, omelettes are for pretty much any time of day. My husband, who once worked as a line cook where he refined his omelet technique, offers to make omelets for supper often, especially when I am too tired to even think about getting near a stove. We always have eggs on hand, often have cheese, and sometimes a few herbs or leftover vegetables. We love our “house” omelets with a glass of wine, but they would be equally good for breakfast on a day when scrambled eggs aren’t quite substantial enough for a long day ahead. It seems that the French invented omelets, possibly stealing the idea from the Romans. Let’s leave the argument there and just say that the omelette has a long history. A French omelette starts out with beaten eggs in the pan (just like scrambled eggs). The pan is shaken constantly during cooking until the eggs just begin to set. When the eggs are cooked, the omelet is rolled and snugly folded to form an oval and finally turned out onto a plate with the seam side down. American omelets start out in the same way, but as the eggs cook, the edges are lifted from the sides of the pan with a spatula so the runny eggs can flow underneath. When the eggs are nearly set, the filling is added and the omelet is folded in half rather than rolled. For our purposes here, we’ll make an American-style omelet and you will see how easy it is to accomplish even if you have never tried to make an omelet before. Use two or three eggs per omelet, depending on how hungry you are. Use an 8-inch nonstick skillet for a 2-egg omelet, a 9-inch skillet for 3 eggs. Melt the butter over medium-low heat, and keep the temperature low and slow when cooking the eggs so the bottom doesn’t get too brown or overcooked. Use a heatproof silicone spatula to gently lift the cooked eggs from the edges of the pan. Tilt the pan to allow the uncooked eggs to flow to the edge of the pan. Add the filling—but don’t overstuff the omelet—when the eggs begin to set. 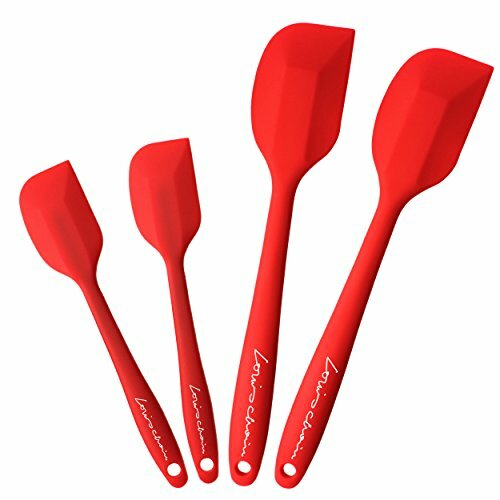 Slide it onto a plate with the help of a silicone spatula. I said this above, but it bears repeating! 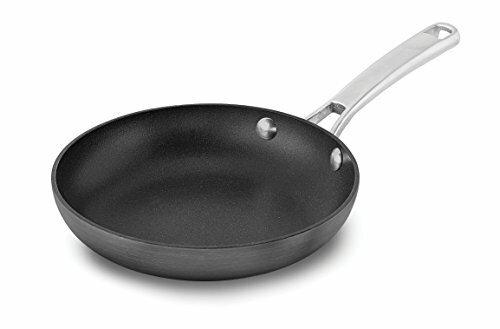 Use an 8-inch nonstick skillet (like this one) for a 2-egg omelet, a 9-inch skillet for 3 eggs. Not only is an omelet quick and easy to make, it is a paragon of economy. Odds and ends (a.k.a. leftovers) rise to a new level when placed inside an omelet. Leftover, cooked vegetables paired with a little cheese and folded into eggs present a much more cheerful meal than a bowl of vegetables haphazardly reheated in the microwave for lunch! Use your imagination and what appeals to you for the filling. Channel your inner elegant French cook and don’t overstuff the omelet! You should have enough filling to make the omelet tasty, but not so much that it’s bursting and spilling out of the eggs. With practice, you will be able to eyeball how much to put in the omelet. 1 Prep the eggs: In a bowl, beat the eggs with a fork. 2 Melt the butter: In an 8-inch nonstick skillet over medium-low heat, melt the butter. 3 Add the eggs and cook the omelet: Add the eggs to the skillet and cook without stirring until the edges begin to set. With a silicone spatula, push the edges toward the center of the pan and tilt the pan so the uncooked eggs move to the edge. Repeat until the eggs are somewhat set but still a little soft in the center, about 6 minutes. 4 Fill the omelet: Place the cheese, tomatoes, and herbs in a line down the center of the omelet and cook for about 1 minute longer, or until the eggs are mostly set but still a little soft in the center. 5 Fold and plate the omelet: Slide the spatula around one side of the omelet at the edge to loosen it. Slip it under the eggs, and use it to carefully fold the omelet in half. Slide the spatula under the folded omelet to loosen it from the pan. Tilt the pan over a plate and use the spatula to nudge it onto the plate. Voila! Hello! All photos and content are copyright protected. Please do not use our photos without prior written permission. If you wish to republish this recipe, please rewrite the recipe in your own unique words and link back to How to Make an Omelet on Simply Recipes. Thank you! Looks yummy! i want to share spanish omlete recipe. 1. Take one potato, peel it and cut it into small pieces. chop 1 onion. 2. Add olive oil in a frying pan, then add potatoes and onion and stew gently, covered pan for 30 min. 3. Beat 6 eggs and pour mixture in the frying pan without stiring. 4. Covered pan for 2 to 3 min until it becomes fluffy. 5. when one is done then flip it to other side. Slide on to a plate and cool for 10 minutes before serving.